We present a language for defining new rough relations from given decision tables and we show how to query relations defined in this way. 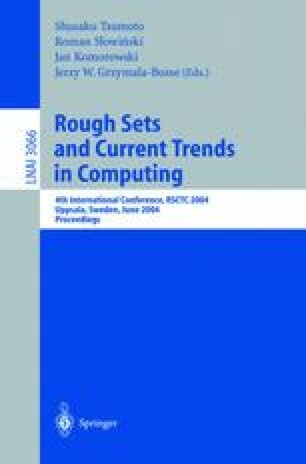 The language provides a uniform formalism for expressing rough data together with background knowledge, and for capturing well-known techniques such as the variable precision rough set model. Its essential feature is the use of quantitative measures, such as support, strength and accuracy.